File Types: EPS,JPG,All Files; File Size: 852.79 KB; Requirements: Adobe CS1+; Vector: Yes. Large blank urban billboard with copy space text standing high over city street buildings. Flat style vector illustration template. 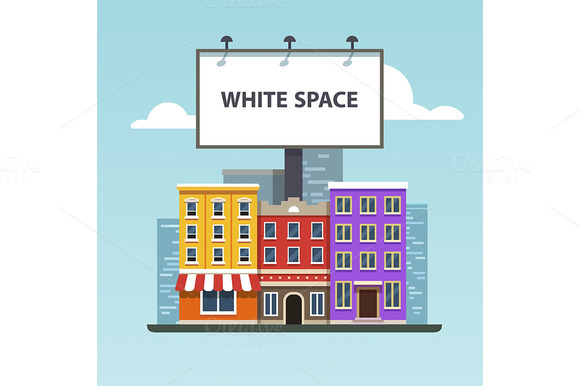 Keywords: flat, icon, vector, object, isolated, illustration, template, background, design, cartoon, metaphor, clipart, concept, white, space, whitespace, billboard, outdoor, blank, big, poster, banner, news, shopping, media, frame, display, business, marketing, ad, advertisement, advert, clear, text, promotion, commercial, bill, board, bigboard, promo, large, huge, post, single, column, city, cityscape, building, urban, mockup, street, sign, exterior, copyspace, available, houses, shops, stores, town.